Discover Mexico is the most visited park in Cozumel and one of the island’s main tourist attractions that highlights the historical and cultural treasures of Mexico. It is a must visit during your trip to Mexico as it offers you the opportunity to learn more about the unique, colorful and rich culture of Mexico, one of the most beautiful countries in the world. Discover Mexico park tour is one of a kind experience that allows you see the different ethnicities, arts, landmarks and traditions of Mexico. Here, you will find ancient and modern Mexican wonders in one place. 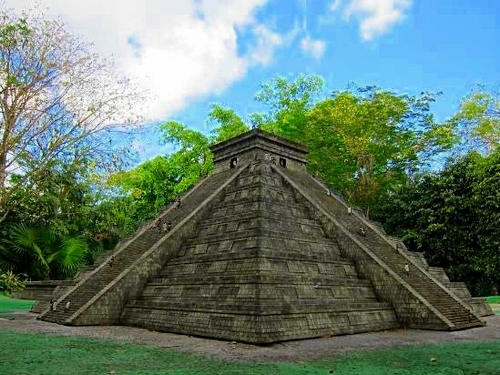 This guided tour around the park takes you to see some of the best historical sites located all around Mexico. 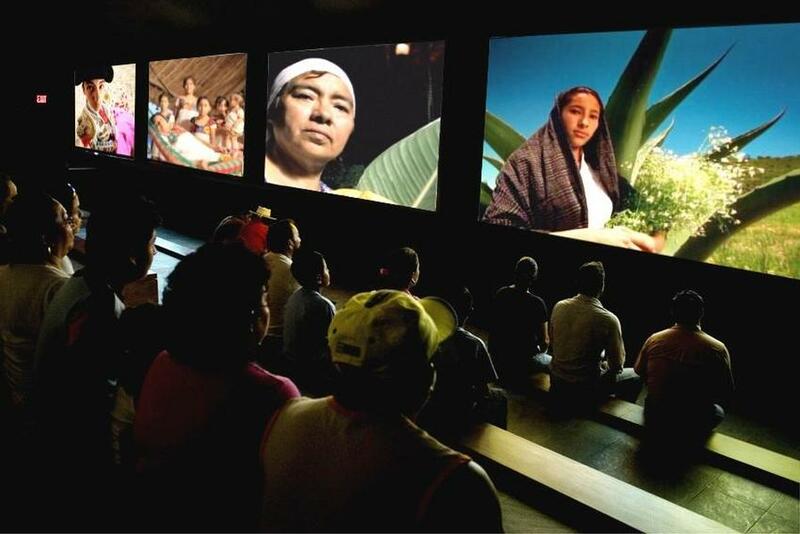 On getting to this amazing park, your tour starts with a trip to the multi-screen video experience room where you’ll see dazzling award winning video presentation that showcase beautiful, cultural and natural wonders of Mexico. 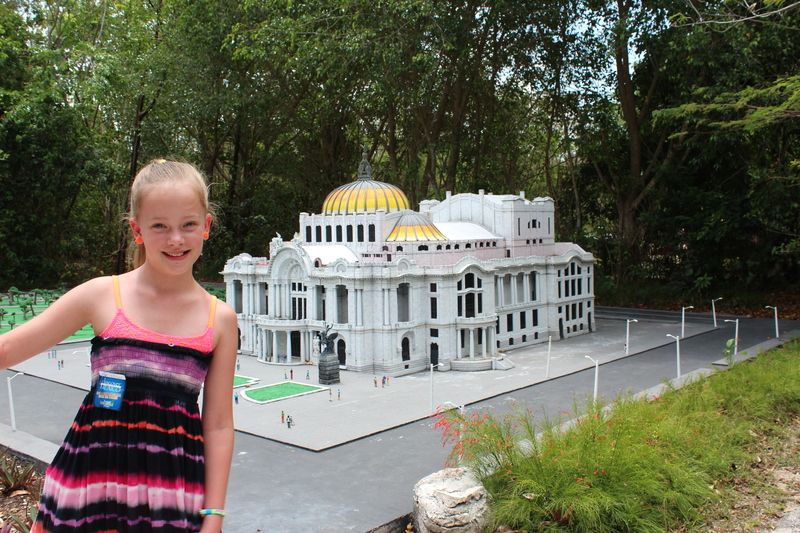 Learn more about Mexican history while wandering through the park, as you see miniature scale models of Mexico’s most significant archeological, and beautiful monuments and buildings. The tour will also take you to the Museum of Popular Arts where you’ll see some of the incredible works of great Mexican artists. Enjoy traditional food, snacks beverages and ice cream for lunch at the “Mercadito Corona” located within the park. Take home some lovely souvenirs at the gift shop, as it is considered one of the best in Cozumel where you can get some of the best authentic handmade articles found nowhere else on the Caribbean. Explore the fascinating outdoor natural garden with glamorous flora and fauna. The next part of your unique excursion takes you to Cozumel’s National Park – Chankanaab. Chankanaab National Park, the most popular beach park on Cozumel, was built to protect the plant and animal species found within the amazing and beautiful coral reefs on the island. Your admission into this beautiful park is also included as part of your excursion. Well-known for its fantastic snorkeling, swimming and diving activities, Chankanaab National Park is home to a botanical garden where you will find over 400 astonishing plant species; restaurants and bars for the best of traditional food and drinks; a sea lion show; a typical Mayan Village, one of the most amazing Pre-Columbian cultures; replicas of well-known archeological sites; an underground river, and a dive shop. You have the opportunity to see astounding animals at the dolphinarium, an open water exhibit, without getting into the water. Go on a guided snorkel or swim in any of the famous coral reefs on the island. After having a nice time discovering the watery wonders of Cozumel, you can kick back relax under a palm tree while you take in the scene. Discover Mexico offers plenty of great and remarkable Cozumel excursions and this is an excellent choice for first-timers and families who wish to learn about the history and culture of Mexico at Discover Mexico and follow it up with an unforgettable moment of fun in Chankanaab Park. This entry was posted in Cozumel Travel Tips, Discover Mexico Park Tours, Mexican Culture and tagged Chankanaab Cozumel, Chankanaab Park, Cozumel, Cozumel Activities, Cozumel beaches, Cozumel Concept Park, Cozumel Concept theme park, Cozumel Cruise Excursions, Cozumel Cultural Events, Cozumel Cultural Park, Cozumel Cultural Tours, Cozumel Excursions, Cozumel Family Activities, Cozumel Family tours, Cozumel History, Cozumel Mexico, Cozumel Parks, Cozumel Travel Tips, Cozumel Vacation, Discover Mexico, Discover Mexico Cozumel, Dolphin swim tours in Cozumel, History of Mexico, Sea Lion shows in Cozumel, Things to do in Cozumel on January 3, 2015 by discovermex. Cozumel Historical and Cultural Park – Discover Mexico! Cozumel Historical Park is one of the most beautiful and unique theme park and museum that is located in Cozumel Mexico. It has a diverse and wide-ranging history, culture and style and it is one of the main attractions in Cozumel, Mexico and the most visited park on the island. If you are planning to visit Cozumel Mexico, you need to see and visit Cozumel Historical Park and have one-of-a-kind experience that you will never forget. Explore and discover the beauty of Mexico with the help of your tour guide that will explain and introduce you to the wonders of the place. 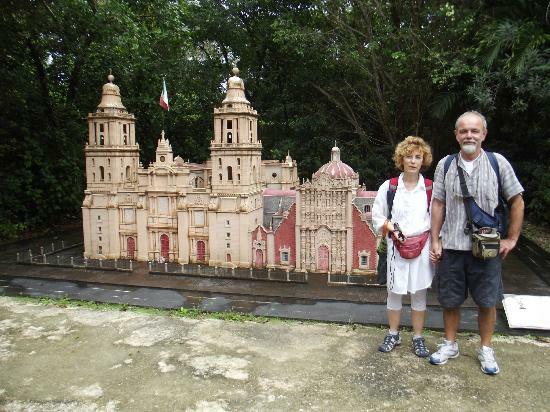 You will cross the famous sites and places in Mexico that is in a miniature scale model. You can also watch collaborative movies and have the chance to discover the intrinsic art, handiworks and antediluvian relics from around Mexico. Have a fun, interesting and educational introduction to the culture and history of Mexico together with your whole family. The Cozumel Historical Park is will provide you the chance to learn about one of the amusing, most vibrant and warmest counties in the world. Experience Cozumel culture and the diverse civilizations tradition, construction and explore the most historical landmarks and places in Cozumel, Mexico. The Cozumel Historical Park features a contemporary main building with an art crafts gallery, a video experience room that play whimsical, authentic and award winning video of Mexico presenting its culture, art and landscape. Aside from the authentic museum, you also need to see the pre-Hispanic, colonial and contemporary Mexican phenomena that is located in the lovely outdoor miniature scale model and replicas plus explore and visit the natural garden with unusual and mysterious flowers and faunae. Aside from the historical places that the Cozumel offers, you can also visit the “Mercadito Corona” and enjoy their traditional drinks and nibbles plus the ice cream. Your travel will not be complete if you don’t visit their souvenir shop that offer the finest and unique handmade arts that is made by the most expert artists and you will not find it in any souvenir shops in the Caribbean. There are plenty of things you can do if you visit Cozumel Historical Park in Mexico and as you visit this amazing town, you need to try their tequila tour because this is not your ordinary tequila tour. Not only you can taste the diverse range of their tequilas but you will also learn their heritage, architecture, culture, tradition and prodigious cuisine. The Cozumel Historical Park tour is one of the most matchless and extraordinary tour that will let you experience not only beverages and wonderful places that the place offers but Mexico as a whole. Explore the beauty of Mexico and be amazed with all the wonderful things and places you will discover in these town is rich with historical places and modern amenities. 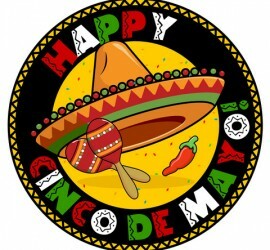 Appreciate all the Mexican wonders and relish the most seen and latest Cozumel Historical Park in Mexico. This entry was posted in Discover Mexico Park Tours, Mexican Culture and tagged Cozumel Activities, Cozumel Concept Park, Cozumel Concept theme park, Cozumel Cruise Excursions, Cozumel Cultural Events, Cozumel Cultural Park, Cozumel Cultural Tours, Cozumel Excursions, Cozumel Family Activities, Cozumel Family tours, Cozumel History, Cozumel Mexico, Cozumel Parks, Cozumel Vacation, History of Mexico, Things to do in Cozumel on November 17, 2014 by discovermex. Discover Mexico´s rich history and snorkel at Playa Uvas Tour! 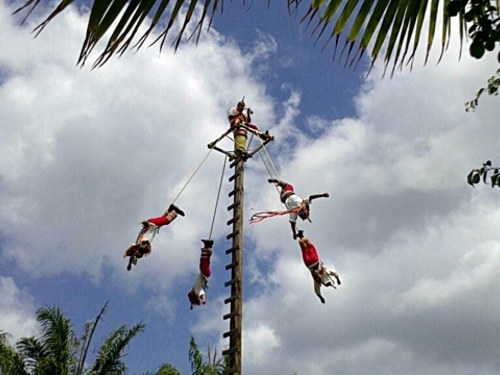 If you are looking for great things to do in Cozumel or just a unique look into the rich Mexican culture then let me tell you about Cozumel´s Cultural park ranked #3 on U.S. News & World Report´s travel section for things to do in Cozumel! Discover Mexico Park offers the opportunity to explore step by step, the wonders of Mexico, from the friendliness of the locals, the World famous Mexican Cuisine, crystal blue waters with some of the most beautiful beaches in the world, to the Mayan pyramids and ruins. with stunning images from the entire vibrant Mexico, such as Riviera Maya, Oaxaca or Chihuahua. You will discover the beautiful Museum of Mexico´s Popular Arts with its collections of textiles, pottery, glass, furniture, Pinata (a kind of toy made ​​from a variety of paper or textile which is filled with sweets or toys), plus other interesting exhibits. Here everything is organized every weekend, with exhibits of handmade products. 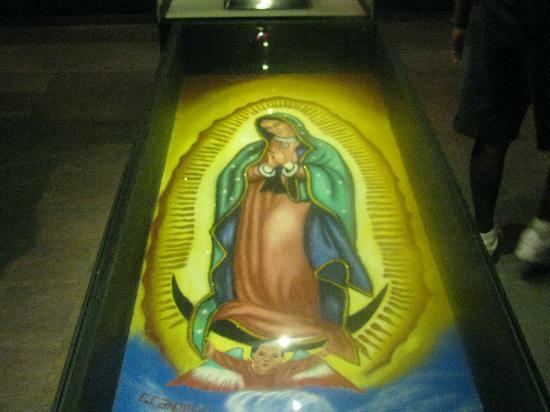 The museum has a gift shop that has interesting things to sell, such as reinterpretations of some famous works, toys and all kinds of traditional Mexican items. Moreover, in this museum, you will have the opportunity to see the famous ‘BarroNegro’ pottery, coming from Oaxaca, renowned for its interesting and unique style, shape, color and sheen. 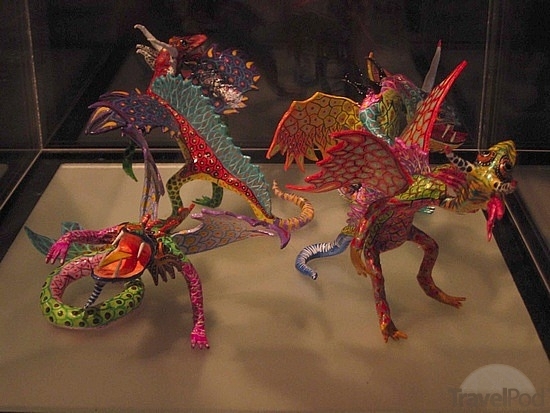 If you like bright colors and creative shapes, Oaxacan Mexican folk art sculptures of fantastical creatures, which you will see in the Museum of Popular Arts, clearly will attract your attention. Built to size these replicas are really quite amazing! of the seven wonders of the modern world. What turns out to be the highlight of this pyramid and gathers twice a year thousands of visitors, is when symbolically, the ‘feathered snake’ comes down. Actually it is an exceptionally light effect that looks like a snake, being observed for ten minutes in the days of equinox: March 20 and September 21, at around 3 p.m.
After we visit the parks where have been reproduced the great cathedrals and museums, we head to the Paseo de la Reforma, the most elegant and wide avenue, which runs right through the heart of Mexico. With an attractive design and unique concept, the boulevard houses among the tallest buildings in Mexico. For a well-deserved rest and relaxation, Playa Uvas beach club is waiting for you with arms wide open and his famous water incredibly clear and blue. Discover Mexico provides Snorkel and cultural combo tours too! You will live a unique experience discovering the sea world – Chankanaab Shallow Reef, a guided snorkel tour of 30 minutes. After that, you will feel the need to eat and drink, so to charge your batteries, you can experience the incredible Mexican food, such as a plate of chicken fajitas, fillet of grilled fish, Cesar or mixed salad, all of these being included in the package. This entry was posted in Discover Mexico Park Tours and tagged Cozumel, Cozumel Activities, Cozumel beaches, Cozumel Concept Park, Cozumel Concept theme park, Cozumel Cruise Excursions, Cozumel Cultural Events, Cozumel Cultural Park, Cozumel Cultural Tours, Cozumel Excursions, Cozumel Family Activities, Cozumel Family tours, Cozumel History, Cozumel Mexico, Cozumel Musuem, Cozumel Parks, Cozumel shopping, Cozumel snorkel tours, Cozumel Tequila, Cozumel Tequila Tasting, Cozumel Tequila Tasting tours, Cozumel Tequila Tours, Cozumel Travel Tips, Cozumel Vacation, Discover Mexico, Discover Mexico Cozumel, History of Mexico, Mexico, Mexico History, Playa las uvas, Playa Uvas Beach Club, Playa Uvas Cozumel, Premium Cozumel Tequila Tours, Riviera Maya, Things to do in Cozumel on October 18, 2014 by discovermex. Everyone needs a vacation every once in a while. To pick the perfect destination can make or break the vacation and you should always be willing to try something new. It´s a pretty common for most people to dream of long white sandy beaches and an island paradise. Cozumel offers plenty of different activities for you to do, a lot of different parks that could spark cultural interests, and the diversity alone is enough to make it the perfect landscape for your trip. Cozumel activities can range from plenty of sightseeing adventures for you and your family to more relaxing endeavors. One of Cozumel´s Attractions is the Discover Mexico Cozumel cultural park which allows you to study a rich history of Mexico that involves everything from the pre-Hispanic age to the modern age of today. You will be able to take pictures of the many miniature buildings and replicas of the past, look at ancient artifacts that no longer exist in today’s world, and even enjoy some fine Mexican cuisine that is the best in the world. The Cozumel cultural parks is not just a park for you to roam through but truly an experience that can take you back to an era that no longer exists. From the food to the atmosphere, there is plenty to do in these parks and the entire family will become richer for the experience. 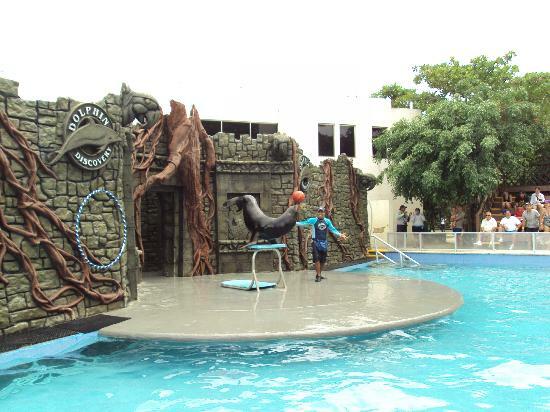 There are other Cozumel activities to do as well. One of the best Cozumel travel tips someone can give is to do everything possible while you are there. There are snorkeling, submarine expeditions, tours on the beach, golf excursions, and many more activities for you to try. Another one of the best Cozumel travel tips is to keep an open mind. A lot of the things that may be done in Cozumel is not something that other western states might find normal or traditional, but that is the point of a great vacation to another country. You get to live through that culture for a little while and see how life was for that civilization. There are plenty of ruins for you to explore, private vehicles that will take you all around the island and let you view what this Mexican place has to offer, and many other hotspots. Cozumel has been around for a very long time and there are plenty of places to walk and explore to really appreciate and soak in the rich history and diverse culture that Cozumel has to offer. Depending on the time of year that you plan your visit you could have the opportunity to experience some of the many cultural events such as Carnaval in February or the Mexican Grito in September in remembrance of the Independence of Mexico! There is so much to do and see that you will never get bored. So be sure to investigate thoroughly when planning your Cozumel Vacation to this gem of an island! This entry was posted in Cozumel Travel Tips and tagged Cozumel, Cozumel Activities, Cozumel Concept Park, Cozumel Concept theme park, Cozumel Cruise Excursions, Cozumel Cultural Events, Cozumel Cultural Park, Cozumel Cultural Tours, Cozumel Excursions, Cozumel Family Activities, Cozumel Family tours, Cozumel History, Cozumel Mexico, Cozumel Musuem, Cozumel Parks, Cozumel Tequila, Cozumel Tequila Tasting, Cozumel Vacation, Discover Mexico, Discover Mexico Cozumel, History of Mexico, Riviera Maya, Things to do in Cozumel on October 1, 2014 by discovermex. Whenever you travel to Mexico, there are so many different things to be done. 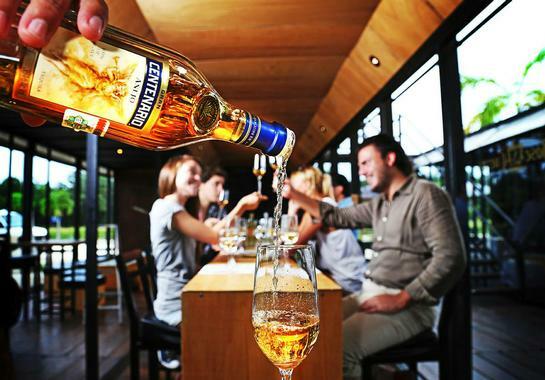 One of the few things that people may not have ever done is a tequila tour. In Cozumel, they do Cozumel tequila tours where you can taste different types of tequila and is just one of the many things to do in Cozumel. Not only do you taste different tequilas, you also learn about Mexico’s heritage, multiple pieces of art and culture, and great cuisine. That is what makes this tour so unique; it is not just about the tequila but Mexico as a whole. You start in air-conditioned comfort and view multiple screens that take you through a journey of Mexico. This really allows you to discover a side of Mexico not normally seen and is something everyone looking for things to do in Cozumel should take a part in. Discover Mexico is the most popular park in Cozumel and really helps you see different parts of the country. You are able to view different ancient civilizations of Mexico’s past and tour replicas of Chichen Itza and other pyramids built by the early Aztecs, Maya, Olmec and Totonac people. One of the main points of this tour, however, is learning of the history of tequila. You are given a history of the tequilas and how they go through production. You get a tequila guide, called a “tequilero” and they will take you through three distinctly different Jose Cuervo tequilas: Blano, Reposado, and Anejo (which is basically aged tequila). Many people do not know the history of what gives tequila its intense quality and you would be hard-pressed to find a better tour that can broadcast its heritage. After viewing all of this, you get to experience a taste of Mexico. You experience cuisine from all over Mexico and get to enjoy it in the fresh open air. You will watch hand-made corn tortillas cooked right in front of you for your very own personal taco buffet. When you are done eating, there is even a margarita lesson that you will be able to take part in. 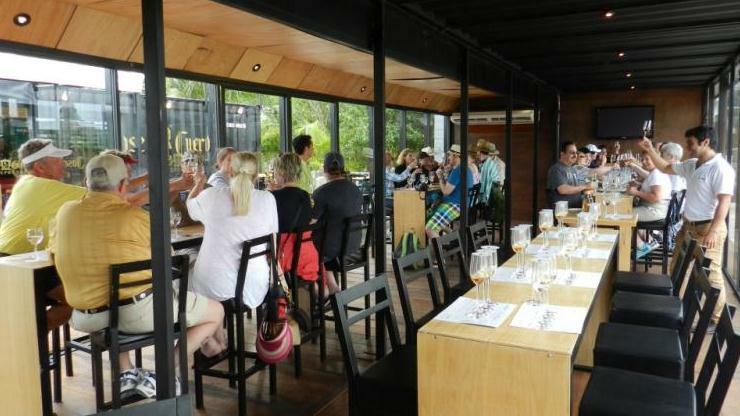 These Cozumel tequila tasting tours are some of the most popular activities to do in Mexico and Cozumel tequila tours come highly recommended by tourists; in other words, there is nothing better to do in Cozumel then this. Give Discover Mexico a chance the next time a tour pops up as this tequila tour is not your typical tequila tour. This entry was posted in Uncategorized and tagged Cozumel Activities, Cozumel Concept Park, Cozumel Cruise Excursions, Cozumel Cultural Park, Cozumel Mexico, Cozumel Parks, Cozumel Tequila, Cozumel Tequila Tasting, Cozumel Tequila Tasting tours, Cozumel Tequila Tours, History of Mexico, Mexico History, Premium Cozumel Tequila Tours, Riviera Maya, Things to do in Cozumel on August 29, 2014 by discovermex.